In October, I had the privilege of being one of over a thousand student and adult delegates at the Round Square International Conference in Cape Town, South Africa. A significant take-away from that experience relates to H2O or water, something that we have in abundance here in Canada, but an important resource that we all largely take for granted. This is not the case in Southern Africa. Any visitor to Cape Town is immediately made aware that there is a water crisis that has affected the region because of a severe drought for the past five years. This is a place where baths are no longer permitted (plugs have been removed from all tubs in hotels) and showers are now limited to a maximum of 2 minutes. The city of Cape Town is taking many steps to manage the crisis, yet officials are not certain that they will work. It has adopted a scenario called “the new normal”, declaring the city a permanent drought region and mandating that every citizen change his/her relationship with water by simply consuming less. It has also unveiled a new Critical Water Shortage Disaster Plan in an attempt to avert an even more severe scenario in the future. 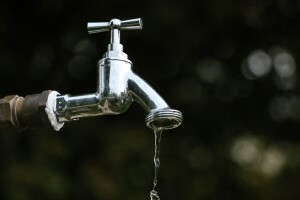 As it stands, Cape Town currently only has about 25% of the water that the city requires, and significant changes and reduction levels are being imposed on individuals, families, and institutions such as schools, universities and hospitals. The city currently uses 618 million litres of water per day, and unless consumption is soon reduced to no more than 500 million litres/day, then the city’s water source could run dry before the end of March, only four months from now. The municipality is limiting water consumption to 350 litres/day per household in certain cases and strict enforcement measures are being introduced, including fines and other consequences. One option being considered is extreme water pressure reduction across the whole city and to start rationing water with localized temporary shutdowns across different sectors of the city. More recycling of “grey water” will also be mandated. If the city slips into the “disaster stage” or “extreme disaster” stage, the city tap system would be turned off and people will only receive limited amounts of water at designated collection points, primarily for drinking. Exposure to all of this made me reflect on our relationship to water here in Montreal. As Canadians, we have plenty of this increasingly precious resource. Yet that doesn’t mean we shouldn’t be preserving it more. Unfortunately, on a global scale, we are actually water gluttons. On average each Quebecer consumes about 400 litres of water per day. We are the second largest consumers of water per person in the world, and we consume twice as much as the average European. So, perhaps we should start a new relationship with water ourselves. On our west coast, the city of Vancouver decided to focus on reducing water consumption over a decade ago and has experienced success (reduction of 20+%). Yet, it is Australia that leads the world in conservation practices. These examples reinforce that we can do better here.